In the days before professional sports became decadent with players paid the prodigal salaries of tycoons, the average fan did not have to take out a mortgage to take his family to a game. Players had a more temperate sense of themselves as well. When Bobby Thomson hit “the shot heard ‘round the world” at the Polo Grounds on October 3, 1951, he acknowledged the applause and then used a ten-cent token to take the subway home. Simplicity was an instinct rooted in our nation’s original culture, as when Thomas Jefferson took the presidential oath of office and returned to his boarding house where he waited his turn for dinner, and when Harry Truman left the White House and drove himself back to Missouri with no guards and no pension. He did not pretend to be broke because he was broke, and he refused directorships on corporations, saying it would be trafficking in the dignity of the presidential office. It cannot be said that Queen Victoria lived in penury, but she did have her own notion of domesticity when she darned socks for the Prince of Wales in Windsor Castle, humming “Be it ever so humble, there’s no place like home.” In her youth, she returned from her coronation in the gilded state coach, took off her ermine robes, put on an apron and gave her dog a bath. Each Easter season one reflects on how the ineffable glory of the Resurrection mingled with utter ordinariness. While endowed with supernatural qualities, Christ looked like nothing more than an ordinary man, and he ate fish and a honeycomb to prove that he was not a ghost. 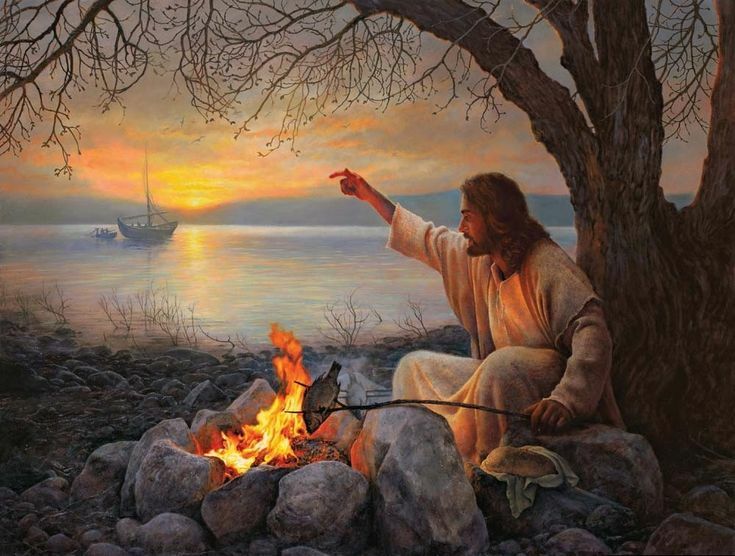 Peter, perhaps partly out of stunned shock, reacted by doing what he had done long before the world’s greatest event: “I’m going fishing.” And after the Resurrection, Jesus himself did not twirl about in oriental display. He cooked fish back home in Galilee. All this was because the Master had a plan for his Church and had to prepare his disciples to preach eternal glory to a world that calculates life in moments of time and measures eternity according to the concepts of space. Christ is too holy to appear exotic, and his mysteries are too profound to mystify. He interprets the mysteries of faith through accessible language and in cogent ways. This is the essence of his love, which is merciful and not condescending. In the sixteenth century, Saint Teresa of Ávila had mystical transports while washing dishes, and in the seventeenth century Brother Lawrence “practiced the presence of God” while doing the daily inventory of his monastery. If there is any regret at all in Heaven, it may be the realization that in our short span in this temporal world, we did not discern the magnificence of ordinary things and did not perceive our true home in the House of God. This entry was posted in Uncategorized and tagged Bobby Thomson, harry truman, shot heard ‘round the world, Thomas Jefferson, White House. Bookmark the permalink.